Funeral services for Ricky Louis Edwards, age 65 will be held at 2:00 P.M. Saturday, February 2, 2019 in the Chan Stanley Memorial Chapel of Stanley Funeral Home and Crematory, with interment to follow at Union Grove Holiness Church Cemetery. Mr. Thurmon Foskey will officiate. Mr. Edwards was born March 10, 1953 in Harrison, Georgia. He was the son of the late Kinnon Louis and Ruby Logue Edwards. He has lived in Laurens County for the past 65 years. He was a parts salesman for O’Reilly Auto Parts in Dublin. Mr. Edwards passed away, Wednesday, January 30, 2019 at Fairview Park Hospital. 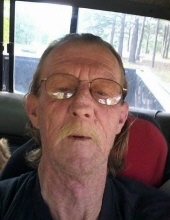 Mr. Edwards is survived by his 2 sons, Kinnon Edwards of East Dublin, and Kevin Edwards of Cleveland, a brother, James Toler of Bloomingdale, and Timmy Toler of Bloomingdale, 6 grandchildren, Jake Edwards, Austin Edwards, Haley Edwards, April Wilder, Christina Hunter, and Ryan Mayo, and a great-grandchild, Alayna Mayo. Pallbearers will be Jake Edwards, Austin Edwards, Andy McCoy, Keith Brantley, Jake Howell, and Tommy Howell. The family will receive friends from 6:00 P.M. until 8:00 P.M. Friday, February 1, 2019 at the funeral home. To send flowers or a remembrance gift to the family of Ricky Louis Edwards, please visit our Tribute Store. "Email Address" would like to share the life celebration of Ricky Louis Edwards. Click on the "link" to go to share a favorite memory or leave a condolence message for the family.